I saw an anhinga (Anhinga anhinga) on my trip to Florida last week. It was on the edge of a pond on the golf course behind my sister’s house. I always see more wildlife there than I do in Florida’s much vaunted preserves and parks. Anhingas belong to the Anhingidae family which includes just 1 genus and 4 species, but they have a wide distribution in the tropical to warm temperate regions of North America, South America, Africa, India, and Australia. The Anhingidae family diverged from the cormorant family (Phalacrocoridae) early during the Miocene about 25 million years ago, and there is fossil evidence of anhingas in Florida during the late Miocene. This early Florida anhinga goes by the scientific name of Anhinga grandis. Anhingas probably originated in South America and later spread throughout the world. There were 2 species of anhinga that co-existed in Florida during the Pleistocene–the extant A. anhinga and the extinct A. beckeri. Anhinga remains have been recovered from 15 sites in Florida but A. beckeri fossils are known from just 4 sites. Little is known about this extinct species, but it probably became extinct following the end of the last Ice Age when rising sea levels inundated important rookeries. Anhingas often nest in colonies with herons and egrets, and the extinct species likely just never moved its breeding range to higher land as other species did. Video of an anhinga swimming. Anhingas are often seen drying their wings after swimming in the water while hunting for fish. Anhingas are also known as darters or snakebirds. Note the snake-like head. Anhingas hunt fish, amphibians, reptiles, and large invertebrates. They swim underwater and impale their prey with their long bills. When they return to shore they toss their prey up in the air and swallow it whole. Crocodilians prey upon anhingas, but the birds are a dangerous adversary. They aggressively fight predators with their bills, aiming for the eye. A scout who guided the first academic ornithological expedition to the Okefenokee Swamp was blind in 1 eye because his pet anhinga had gouged it. The anhinga is another amazing adaptable animal that has survived for millions of years. Mockingbirds are swingers. Most suburban yards in southeastern North America host a pair of mated mockingbirds, but they might not remain the same pair throughout the breeding season because both males and females often switch mates. Male mockingbirds sit on the top of trees and sing long melodious songs to attract female mockingbirds from adjacent territories, not unlike the way human pop singers attract groupies. Female mockingbirds may leave their mates for better singers. Males also flash their wings, and this entices female mockingbirds as well. It doesn’t matter if a male already has a mate because they will continue to try and attract other females. Constant mate switching ensures the genetic vigor of this species. Despite this competition, mockingbirds from adjacent territories respond to their neighbor’s distress calls and will help drive away predators, such as crows. Each territory of swinging and singing mockingbird mates can produce 2-4 broods per year. Mockingbirds are an intelligent bird able to recognize individual humans, and they can imitate the calls of at least 14 other bird species as well as the vocalizations of cats, dogs, frogs, and crickets. Photo of a mockingbird in my front yard. Click to enlarge. I wonder how common mockingbirds were during the Pleistocene compared to today. Studies show mockingbirds enjoy longer lives in suburban areas than they do in wilderness refuges. Scientists believe mockingbirds prefer the stability of manmade habitats where they can find the same nesting sites, fruit trees, and insect species year after year. They don’t have to travel far to find favorable habitat that might be dispersed in a wilderness. I hypothesize mockingbirds were common in the south during most climate phases of the Pleistocene, but were not as common as they are today. Mockingbirds probably occurred in forest edge habitat along megafauna trails maintained by the regular migration of herds. Mockingbirds could rely on fruits originating from trees sprouting in seed-filled dung, and they fed on insects stirred up by roaming large animals. Northern mockingbirds are uncommon in the fossil record. They are known from just 3 specimens excavated from Reddick and 1 in Haile–both located in Florida. Bahamian mockingbirds (M. gundlachii) left fossil evidence at the Banana Hole site in the Bahamas. This paucity of fossil evidence doesn’t mean mockingbirds were an uncommon bird in the past. Potential sites of fossil preservation in their favored forest edge habitat just didn’t exist to any great degree. Genetic evidence does suggest mockingbirds have an ancient origin somewhere in South America where the most species of mockingbirds occur. Mockingbirds belong to the Mimidae family which also includes thrashers and catbirds. There are 14 species of mockingbirds: northern, tropical (M. gilvus), brown-backed (M. dorsalis), Bahama, long-tailed (M. longicauda), Patagonian (M. patagonicus), Chilean (M. thenca), white-banded (M. triuris), Socorro (M. graysonii), chalk-browed (M. saturninus), Floreana (M. trifusciatus), San Cristobal (M. melanotis), Hood (M. macdonaldi), and Galapagos (M. parvalus). The northern mockingbird is a sister species to the tropical mockingbird, and they are so closely related they interbreed on the border region where their ranges overlap in southern Mexico. The Chilean mockingbird is a sister species of the Patagonian mockingbird. The uplift of the Andes mountains separated the founding population of these mockingbirds into 2 species. Oddly enough, the Bahama mockingbird is a sister species to the 4 kinds of mockingbirds found on the Galapagos Islands including the San Cristobal, Galapagos, Hood, and Floreana. 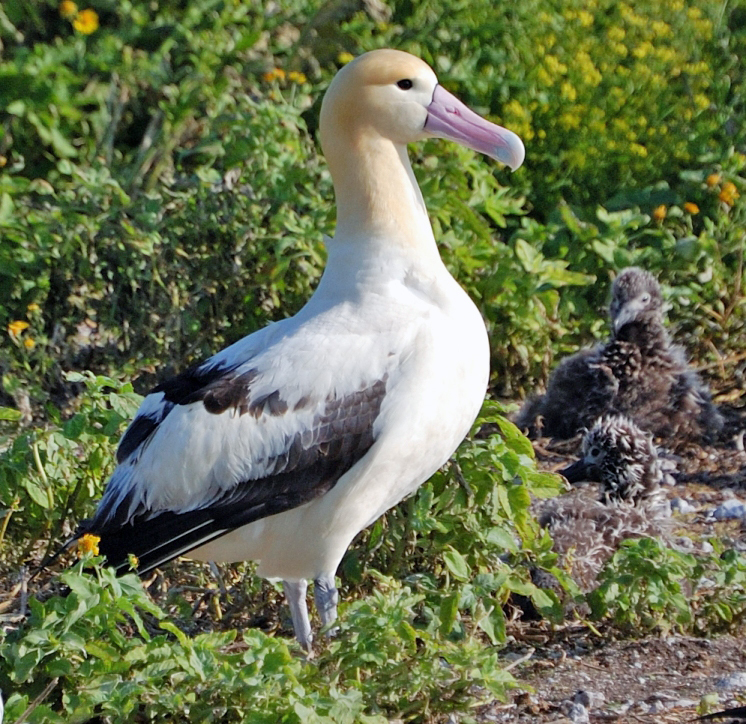 Each of these species occupies just 1 or 2 Galapagos Islands. Darwin wrongly assumed they were most closely related to South American species of mockingbirds due to the relative proximity. But genetic evidence shows the mockingbirds that traveled over the Pacific Ocean to the Galapagos Islands came from even further away. It seems likely this occurred before a land bridge connected North and South America. Otherwise, the exhausted birds would’ve landed on Central America instead. Unlike Darwin’s famous finches, mockingbirds didn’t evolve into different species that occupied different niches on each island, but instead remained habitat generalists, though each became a different species unique to the island they landed upon. Most species of birds that became extinct at the end of the Pleistocene were dependent upon the megafauna in some way. The list of extinct species includes 2 relatives of the extant cowbird. These birds likely followed herds of mammoths and horses around, just like their living cousins follow herds of bison and introduced cattle to feed on stirred-up insects and dislodged grass seeds. Several species of extinct vultures, condors, and eagles obviously disappeared when there were no longer any carcasses of mammoths, ground sloths, llamas, etc. to feed upon. Extant California condors, golden eagles, and magpies suffered reduced ranges for the same reason. There were several species of raptors in the Buteogallus genus living in the southern region of North America during the late Pleistocene. The Buteogallus genus is classified within the Accipitritidae family which includes the well known Cooper’s hawk and goshawk of North America. 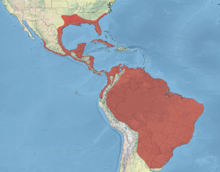 However, the 9 extant species in the Buteogallus genus are restricted to South American and Mexico. 3 extinct species of late Pleistocene Buteogallus ranged into Florida and California. Perhaps the most interesting was the walking eagle (Buteogallus daggetti). Savannah hawk. The walking eagle was a close relative of the savannah hawk but had even longer legs. Secretary bird. The savannah hawk and walking eagle occupy (ied) a convergent ecological niche with this species–grassland birds that feed upon rodents, reptiles, and large insects stirred up by fire or megafauna. The walking eagle most closely resembled the living savannah hawk (B. meridionalis) of South America, but it had even longer legs. It hunted small animals from the air and the ground, like its living relative. Both species occupy (or occupied in the case of the extinct species) a similar niche exploited by the secretary bird (Sagittarius serpentarius) of Africa today. 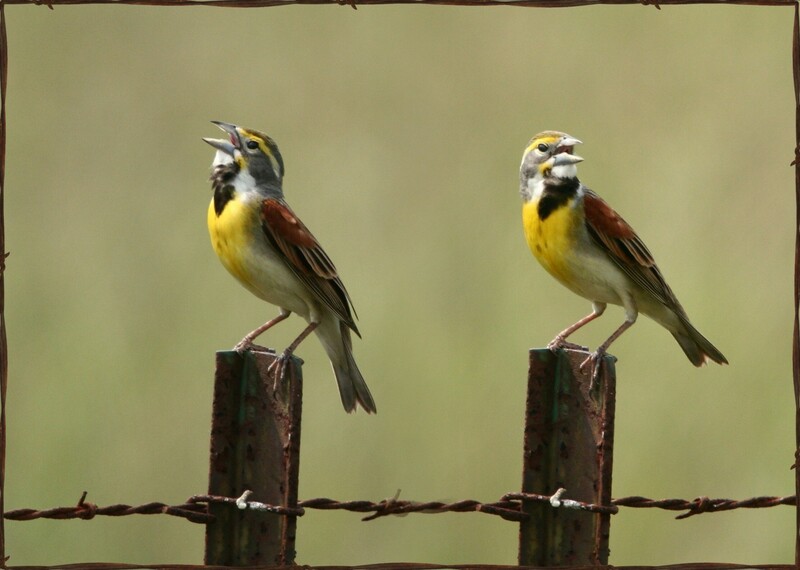 All 3 of these tall grassland birds use (or used) their long legs to pummel small vertebrates. The walking eagle likely preyed on small animals escaping grass fires, like savannah hawks and scissor-tailed swallows do today. Walking eagles may have preyed upon rodents, reptiles, and large insects forced to come out of hiding in tall grass and reveal themselves when herds of megafauna threatened to trample them. Subfossil remains of walking eagles have been excavated from northern Mexico and southern California, but they may have been more widespread. They may have lived in habitats where geological preservation of bird bones is rare. The dhole (Cuon alpinus) crossed the Bering land bridge and colonized North America during the Pleistocene, but its remains have only been found at 1 site in Mexico. The walking eagle may be another example of a once common animal that left scant fossil evidence of its existence. 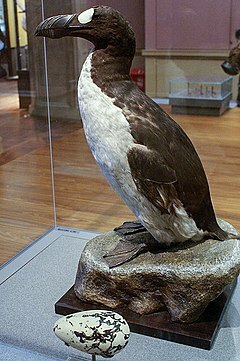 Another extinct species in the Buteogallus genus, the fragile eagle (B. fragilis), lived in California until the late Pleistocene–its remains are relatively common from the La Brea Tar Pits. Remains of the fragile eagle are also known from the mid-Pleistocene of Florida. Subsequent sea level rise may have inundated fragile eagle habitat in Florida, causing its extirpation there, but it may have continued to occur elsewhere in southeastern North America where it remains undetected in the fossil record. Great black hawk. 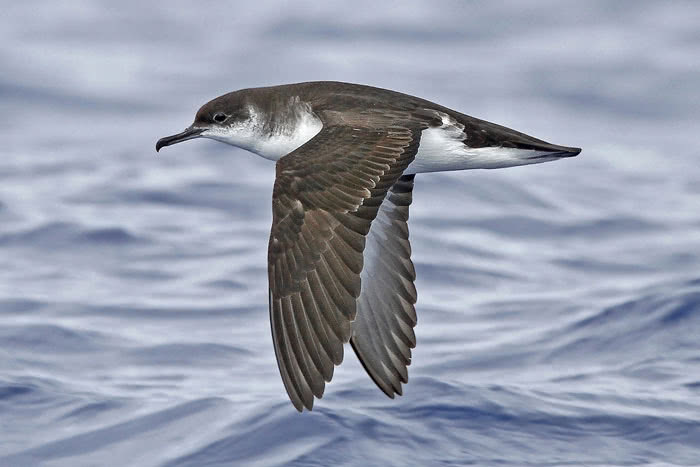 This species currently inhabits wetlands in the tropics of South America and along both Mexican coasts. It lived in Florida during the mid-Pleistocene. The great black hawk (B. urbutinga) occurs today in South America and along both coasts of Mexico. Remains of this species dating to the mid-Pleistocene have also been found in Florida. Sea level rise probably caused the extirpation of this species from peninsular Florida too, and it is not known from any other site north of Mexico. An extinct close relative of the great black hawk (B. borrasi) inhabited Cuba during the late Pleistocene. It was 33% larger than its living close relative. B. borrasi probably evolved from a population of B. urbutinga that found their way to Cuba, but it may have been more widespread in the West Indies and maybe even Florida earlier during the Pleistocene. A less likely but possible explanation is that B. borrasi was formerly more common across southeastern North America but by the late Pleistocene there was just a relic population living on Cuba. A genetic study could probably solve this mystery. I had a good birding day a few weeks ago. I was walking alongside Woodbridge Lake in Evans, Georgia, and I saw many of the aquatic species I almost always see there–Canadian geese, mallard ducks, pied-billed grebes, cormorants, great blue heron, and great egret. But much to my surprise, I also saw an immature bald eagle. When I first spotted it, I assumed it was a black vulture because there was a flock of those scavengers soaring over the lake. The eagle briefly flew low enough for me to identify it. A couple osprey were soaring above the eagle, and I wonder if the young eagle was following them to supplement its diet. Eagles are notorious for stealing fish from ospreys. A lone Cooper’s hawk was another unexpected species to make my birding list that day. Away from the water I saw a small flock of pine warblers (Setophaga pinus) roosting near the top of a pine tree. Pine warblers are the only year round resident warbler species in southeastern North America. Myrtle warblers (Dendroica coronata) spend winters in the south, and many warbler species either spend summers in the region or pass through during spring and fall on their migrations north and south. This sighting made me curious about the fossil record of warblers, so I did an internet search. As far as I could determine, fossil evidence of warblers is non-existent. This is not surprising. Warblers inhabit forest environments where their remains are not likely to be preserved. However, I did come across an interesting genetic study that determined a sudden burst of warbler speciation occurred during the late Miocene/early Pliocene. I thought these were pine warblers, but a reader identified them as cedar waxwings, and I agree. Nevertheless, my mistaken id inspired this blog entry. I took this photo a few weeks ago. This speciation event occurred between 4.5 million years BP-7 million years BP when climate became warmer and drier. The authors of this study note this coincides with a time of faunal turnover. Rhinos and species of 3-toed horses became extinct when warblers speciated into many different species. They conclude the aridity fragmented forests, isolating many different populations of warblers that then evolved into unique species. It’s a remarkable example of adaptive radiation, defined as the evolutionary lineage differentiation into a suite of closely related species differing in their use of ecological resources. It resulted in the evolution of over 2 dozen species. Warbler adaptive radiation differs from that of other species groups because there is little morphological difference between the species. Darwin’s famous Galapagos Island finches evolved different bills depending upon which ecological niche they inhabited, but warblers remained very similar. By the middle of the Pliocene, habitats began to resemble those that exist today (if left alone by man), and warbler speciation slowed down because existing species came into contact with each other and competed for all of the existing niches. Still, the evolution of a few species may be linked to glacial/interglacial cycles. Townsend’s warbler (D. townsendi), hermit warblers (D. occidentalis), and black-throated green warblers (D. virens) may have speciated during the Pleistocene. Black-throated gray warblers (D. nigrescens ) and Grace’s warbler (D. gracae) may be the result of hybridization events. The pine warblers of the south are closely related to the founder population of warblers. The ancestors of all warblers likely were a more adaptable species, like the pine warbler, and less dependent upon migration for survival. Pine warblers are 1 of the few warbler species that can feed upon seeds. Most warbler species eat insects and fruit and thus require warmer temperatures. Rapid adaptive radiation among mammals, like warbler speciation, followed a similar pattern after dinosaurs became extinct. There was a sudden burst of speciation of mammals occupying newly available niches vacated by dinosaurs. But the rate of speciation slowed down when enough species evolved that competition increased for those niches. Wood ducks differ from most other species of ducks because they nest in hollow trees, rather than in thick wetland vegetation. Unlike migratory species of ducks that prefer to fly over open water or high in the sky, wood ducks comfortably fly between trees. However, wood ducks do share a love of water with their kin. Shortly after wood ducklings hatch, they jump out of their nest and follow their parent to water. Oftentimes, their den tree is located in flooded terrain and the water guarantees a safe landing. But the ducklings are so light they can land on solid ground without sustaining injury, though they are not yet able to fly. 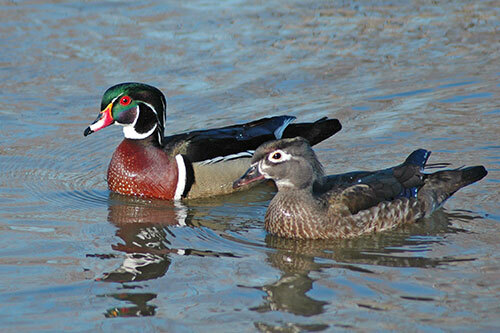 Male wood ducks are much more colorful than females. I’ve only seen wood ducks on 1 occasion, while I was visiting Phinizy Swamp Park in Augusta, Georgia. Wood ducks probably first speciated during the early Pliocene when Ice Ages began occurring, and glaciers caused a divergence in the Holarctic ancestral population that also gave rise to their closest living relative, the mandarin duck (Aix galericulata) of east Asia–the only other species of duck in the Aix genus. Fossil evidence of wood ducks dating to the late Pliocene and Pleistocene has been found at 6 sites in Florida and 1 each in Oregon, New Mexico, and Georgia; suggesting the species has been widespread for millions of years. (Pleistocene wood duck remains in Georgia were excavated from Kingston Saltpeter Cave, Bartow County.) Wood ducks were likely most common during interglacials and interstadials when their favored habitat–beaver ponds and woodlands with abundant streams–expanded. Wood ducks eat acorns, seeds, berries, and insects. Oaks increased in abundance during wetter climate phases, therefore providing more acorns for wood ducks to eat. There are eastern and western populations of wood ducks. Genetic evidence suggests these populations diverged ~34,000 years ago. This is consistent with the record of climate change. The stage 2 stadial that included the Last Glacial Maximum started about 29,000 years ago and before this climate frequently fluctuated between stadial and interstadial. Any 1 of the previous stadials preceding stage 2 or stage 2 itself could have caused the ecological changes isolating the 2 populations. Dry grassland habitat expanded and streams dried up, so that eastern and western populations were separated into different refugia. They still haven’t reconnected, even though the 2 populations come so close to each other in the midwest. You are currently browsing the archives for the Ornithology category.